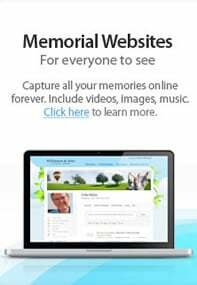 W. L. Wilson & Sons Funeral Home is proud to partner with the Remembrance Services Group in providing you with this free online social networking service. At BeRemembered, you can record how you want to be remembered by your family, friends and loved ones, even after you leave this life. You can record stories of your life, add pictures and video, describe how you want your end of life funeral event to be, even store private messages that are delivered to loved ones after you leave this life. Gradually collect, organize and archive your finest memories and thoughts. Also reflect on, and plan, your end-of-life celebration. Membership is free.